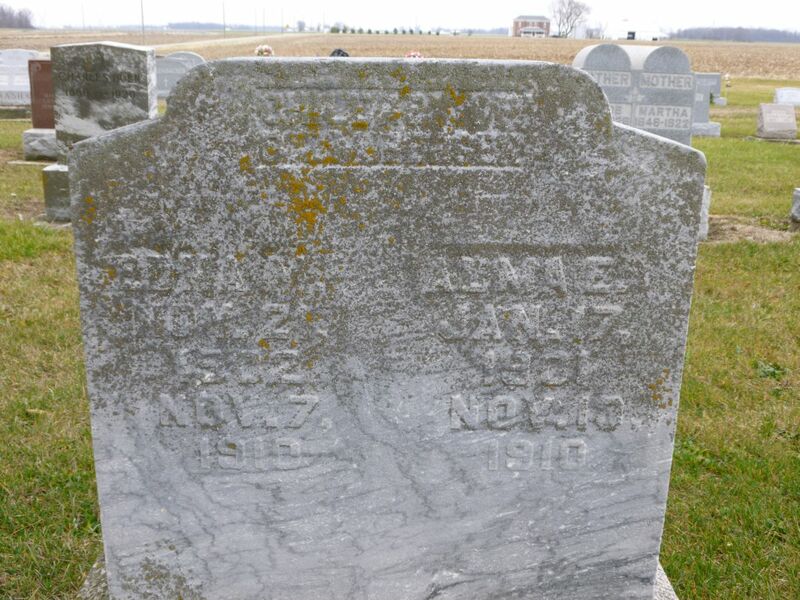 These two sisters, who share a tombstone, were the daughters of David and Mary R. (Hiller) Berger. The Bergers attended church at Zion Lutheran, Chatt. Emma Elma “Alma” Berger was born 17 January 1901 in Jefferson Township, Adams County, Indiana. She was baptized 18 January 1901 with David Berger and Emma Bollenbacher as her sponsors. 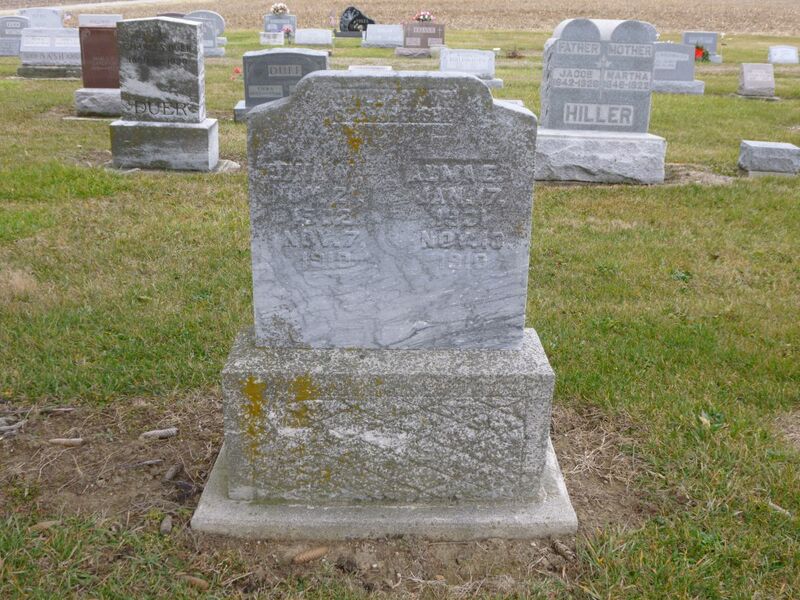 Edna Maria Berger was born 21 November 1902 in Jefferson Township and was baptized 10 April 1903 with her parents serving as sponsors. Edna died of typhoid fever on 7 November 1910, at the age of 8 years, 11 months, and 15 days. 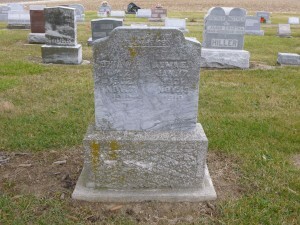 She was buried on the 9th and was survived by her parents, 1 brother, and 4 sisters. Her sister Alma died three days later, also from typhoid fever. Alma died on 10 November 1910, at the age of 9 years, 9 months, and 23 days. She was buried on the 13th. Survivors included her parents, 1 brother, and 3 sisters, according to church records. Their tombstone is located near the markers of their parents and a couple of their siblings. The surname Berger was sometimes spelled as Burger in the church records.